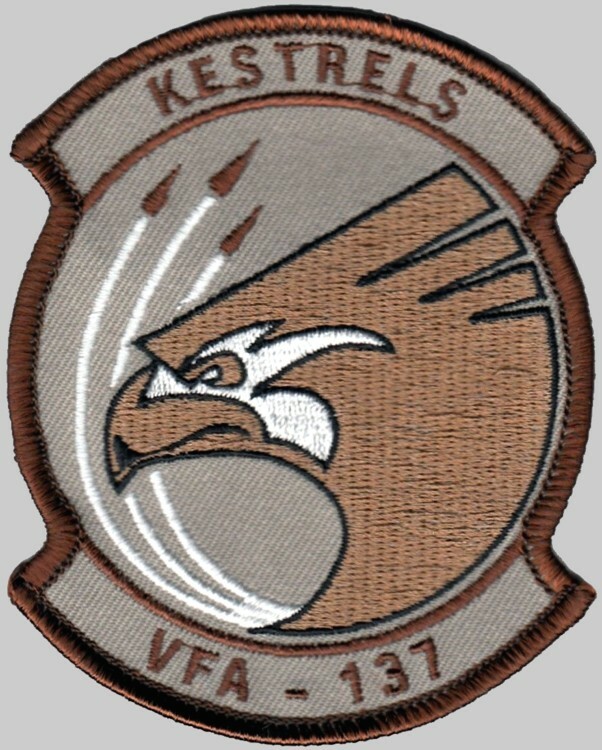 Strike Fighter Squadron 137, nicknamed the “Kestrels” after the native North American Falcon, was established on 2 July 1985. 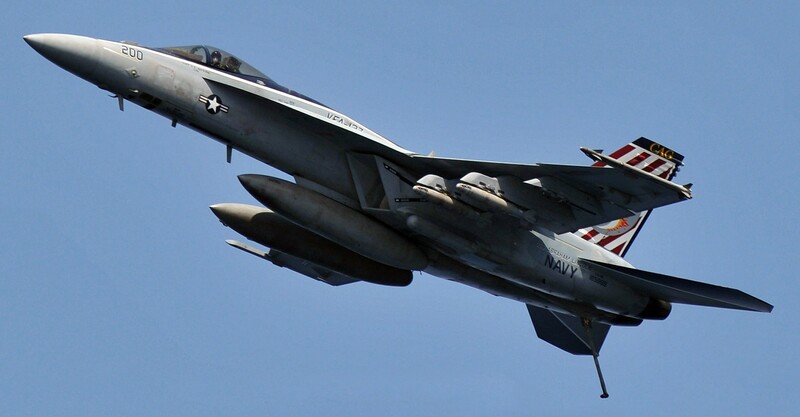 The Kestrels received their first Lot VIII FA-18A Hornet on 25 November 1985 and in October 1986 the squadron was awarded the Silver Anchor for new construction squadrons. 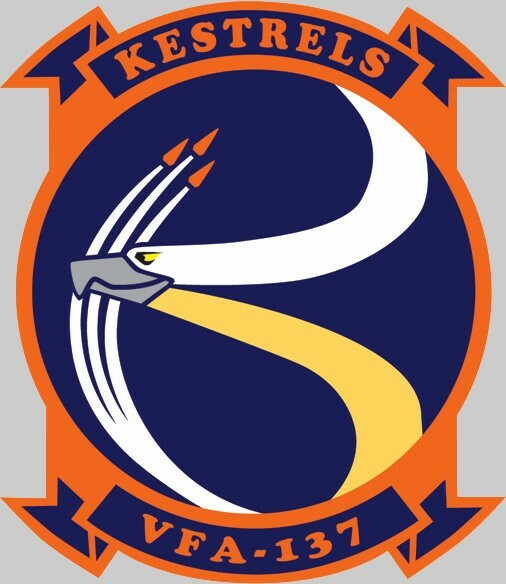 In the course of their 26-year history, the Kestrels have cultivated a tradition of professionalism and excellence, with a safety record that includes over 90,000 mishap-free flight hours. 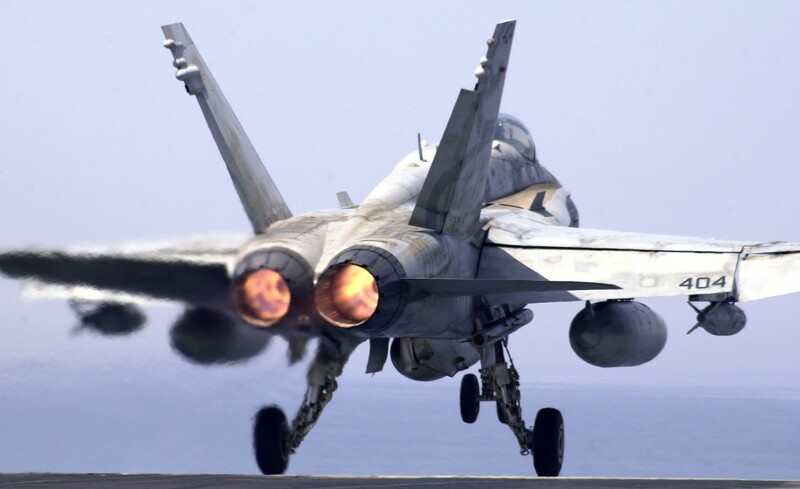 In 1987-1988 the squadron made its first deployment to the Mediterranean Sea embarked on the “Ageless Warrior,” USS CORAL SEA (CV 43), as part of Carrier Air Wing THIRTEEN. 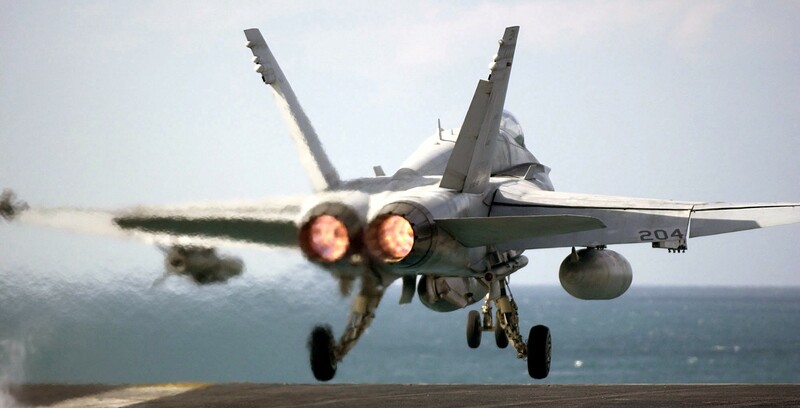 That year the squadron was recognized with the Commander Naval Air Forces, U.S. Atlantic Fleet Battle “E” award. 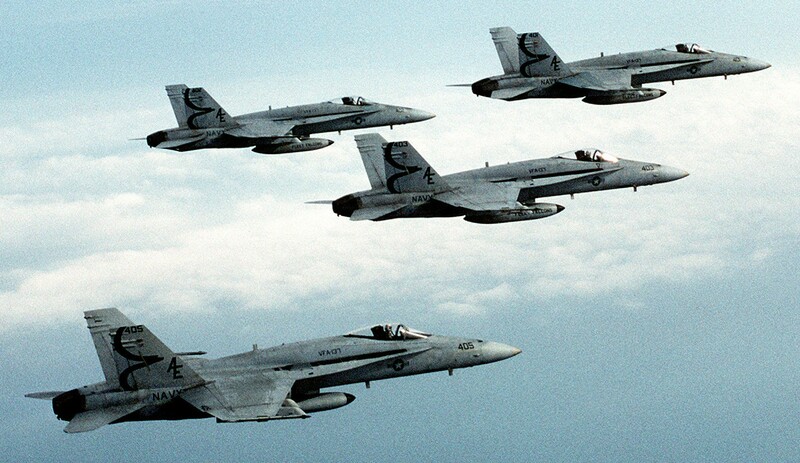 In August 1989, the Kestrels were back onboard CORAL SEA patrolling the Eastern Mediterranean in response to Colonel Higgins’ murder in Lebanon, winning the Golden Tailhook award on their second deployment. 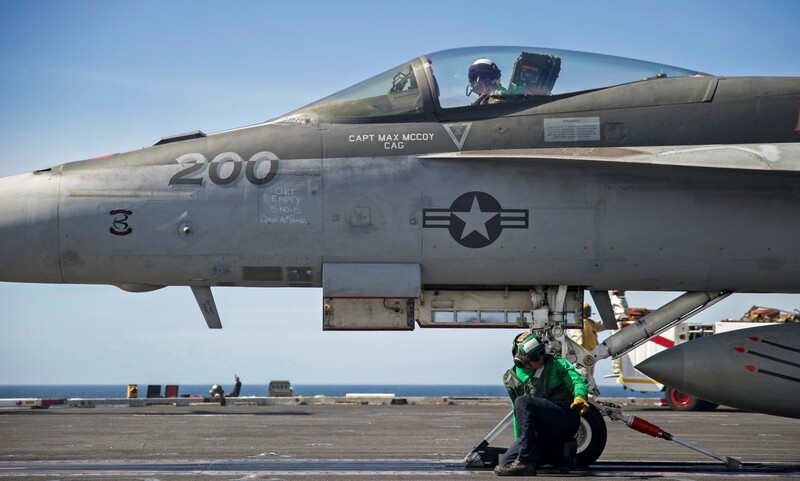 In October 1990, the squadron transferred to Carrier Air Wing SIX onboard USS FORRESTAL (CV 59), completed an accelerated work up cycle and their third deployment. 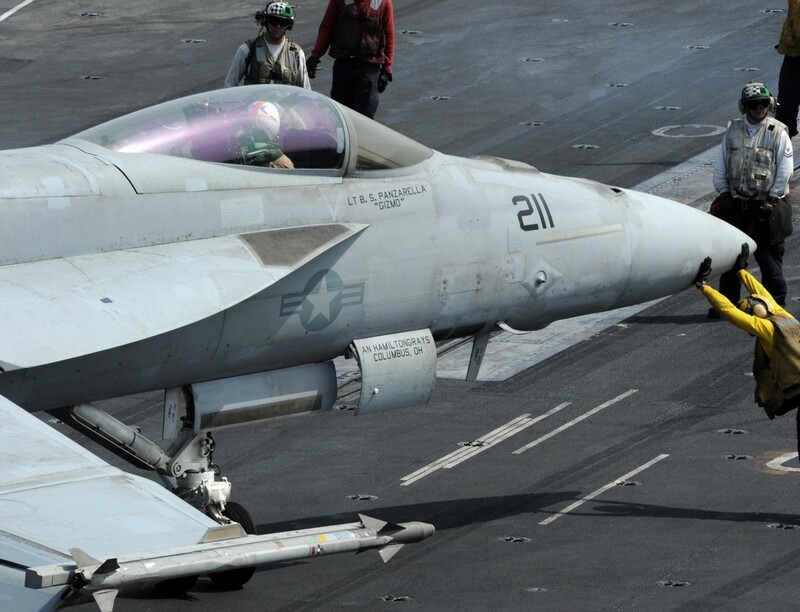 On cruise, the Kestrels flew sorties over Iraq in support of Operation PROVIDE COMFORT and won two more Tailhook Awards. 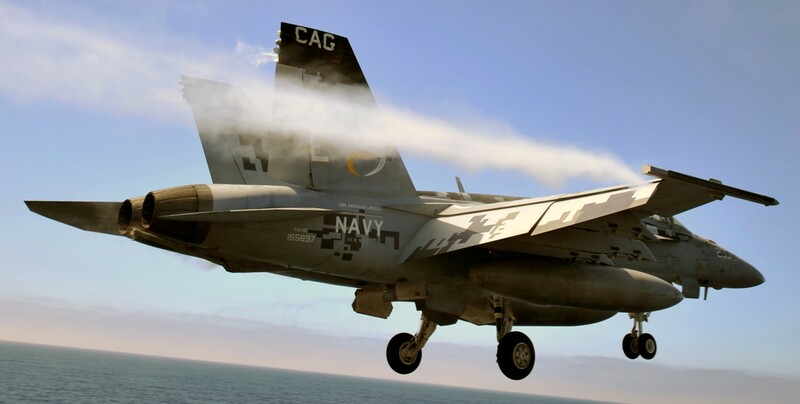 In September 1992, the squadron completed a homeport change to Lemoore, CA and transitioned to the night attack capable Lot XV FA-18C. 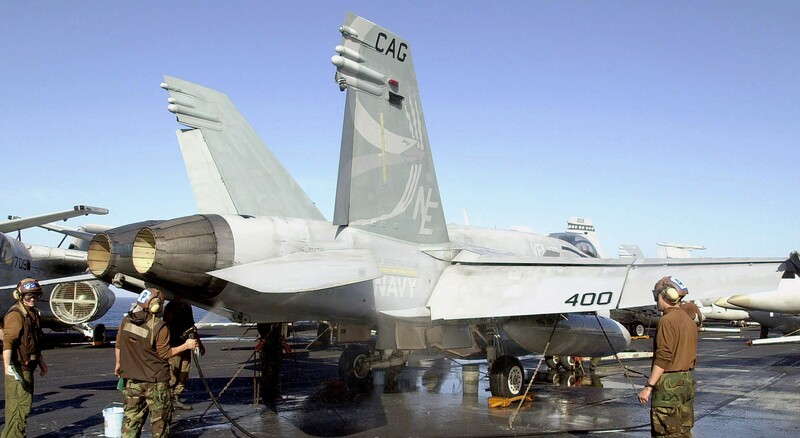 In May 1993, the squadron joined Carrier Air Wing TWO and embarked onboard USS CONSTELLATION (CV 64) for their first Western Pacific deployment in November 1994. 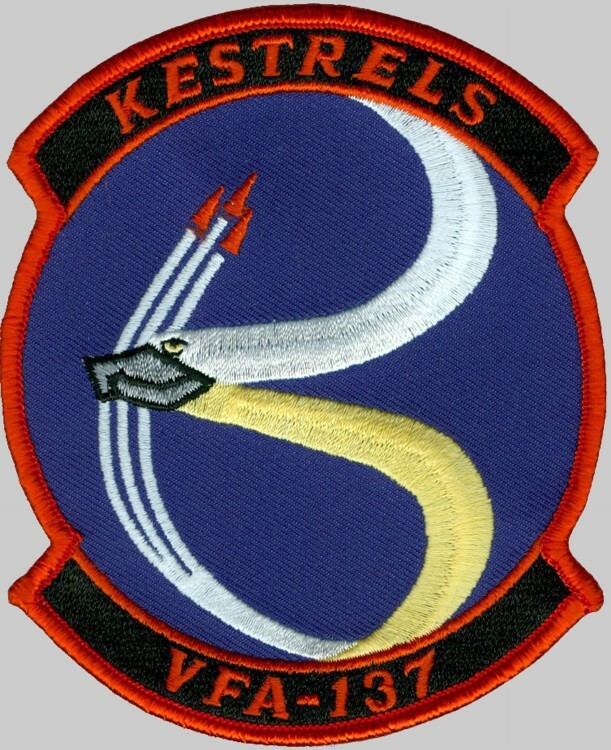 On this deployment, and the 1997 deployment, the Kestrels patrolled the skies over Iraq, enforcing the United Nations no-fly zone in support of Operation SOUTHERN WATCH. 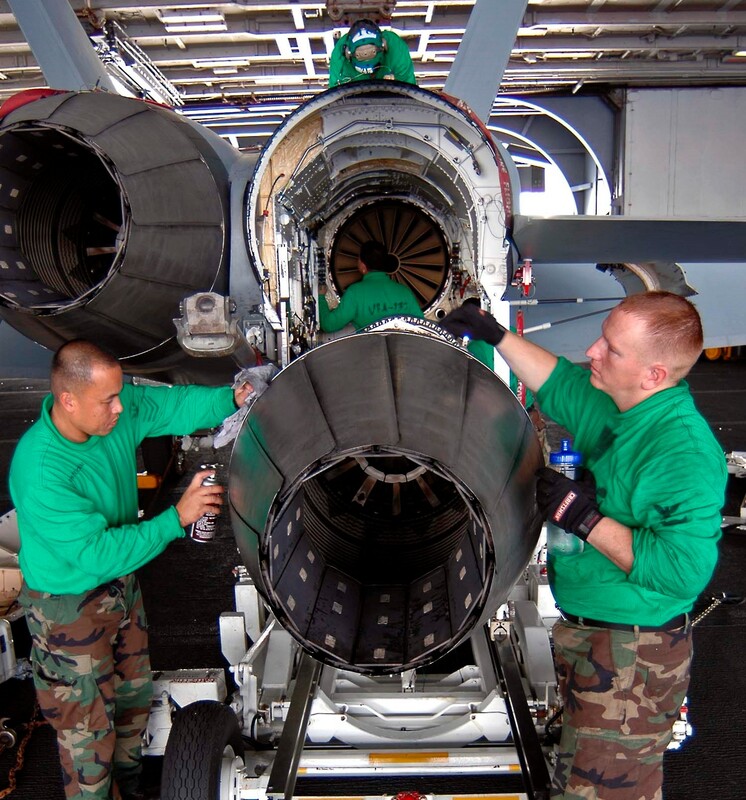 In 1999 and again in 2001, the Kestrels employed precision-guided ordnance against Iraq as part of a Coalition Forces response to repeated violations of the no-fly zone. 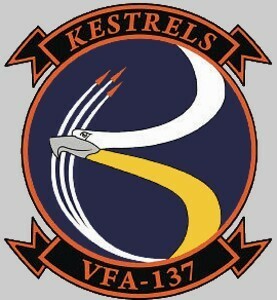 In November 2002, the Kestrels deployed to the Arabian Gulf onboard CONSTELLATION for her final deployment. 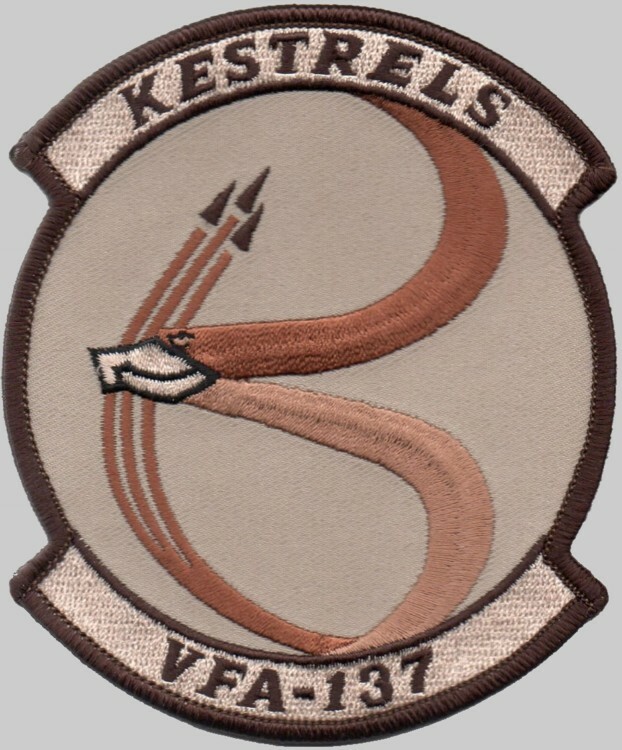 The Kestrels participated in extensive operations in the skies over Iraq, initially in support of Operation SOUTHERN WATCH, and then in combat operations during Operation IRAQI FREEDOM (OIF). 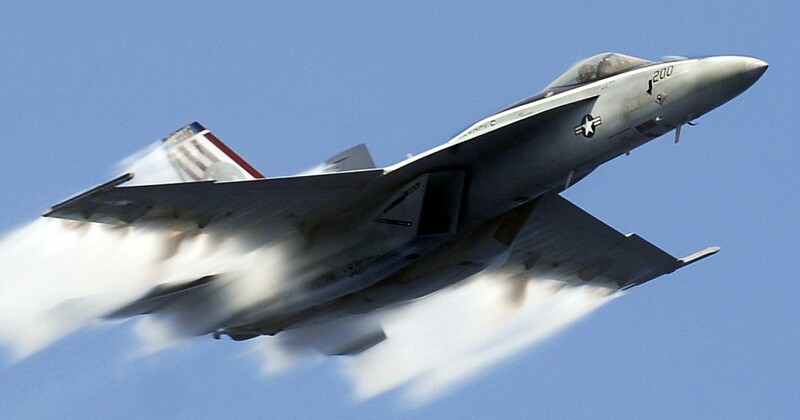 During the course of the conflict, the Kestrels flew over 500 combat sorties and dropped more than 300,000 pounds of precision-guided ordnance. 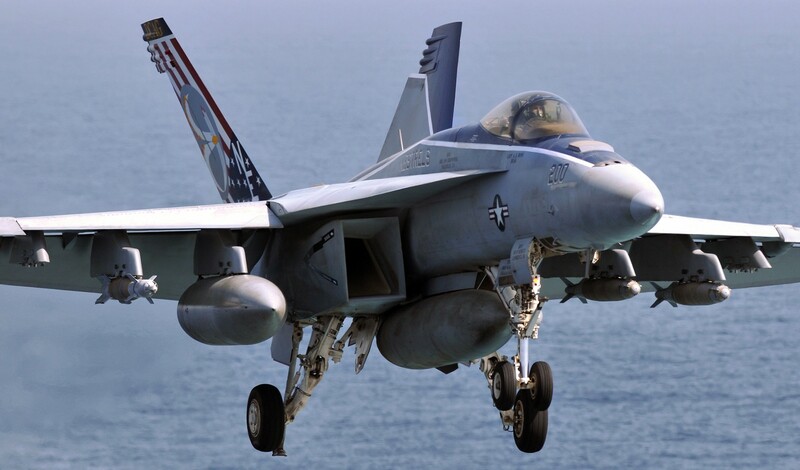 The Kestrels returned home in June 2003, and began the transition to the new Lot XXV FA-18E Super Hornet. 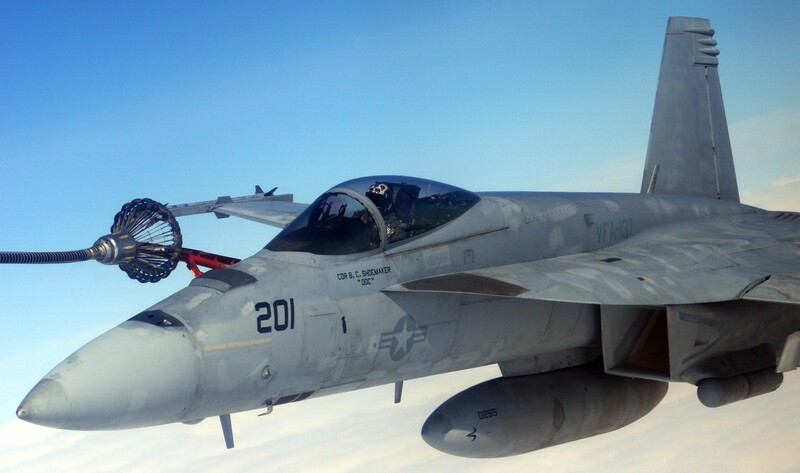 After completing the Safe for Flight certification, the Kestrels became the third FA-18E squadron in the U.S. Navy. 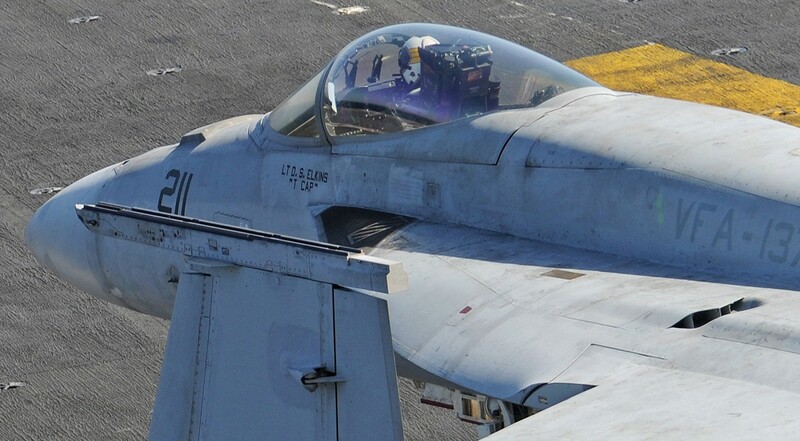 In April 2004, Commander, Naval Air Force, U.S. Pacific Fleet awarded the Battle “E” for calendar year 2003. 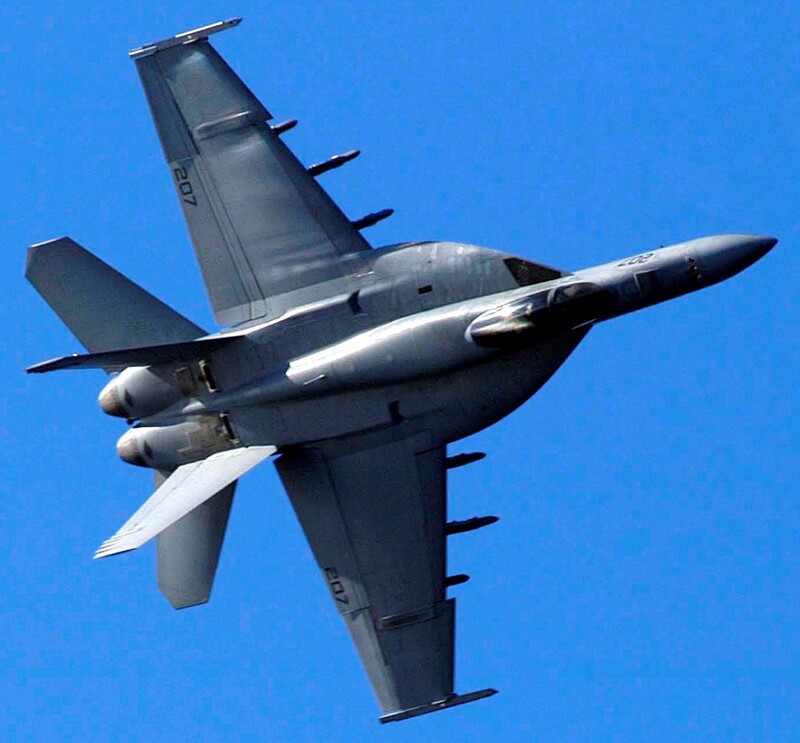 Subsequently, Commander, Naval Air Force awarded the 2003 Captain Michael J. Estocin Award for exceptional operational performance and flight safety. 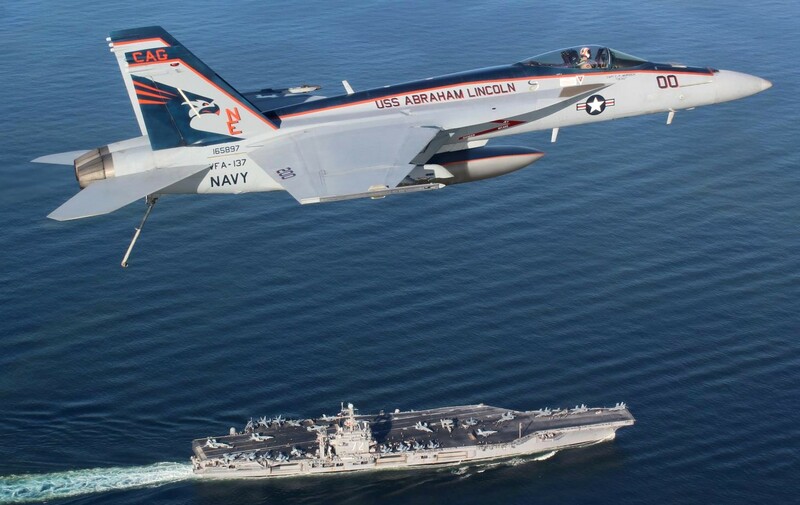 In October 2004, the squadron transferred with the air wing to the USS ABRAHAM LINCOLN (CVN 72) for a WESTPAC cruise on the historic first ever surge deployment ordered under the Navy’s Fleet Response Plan. 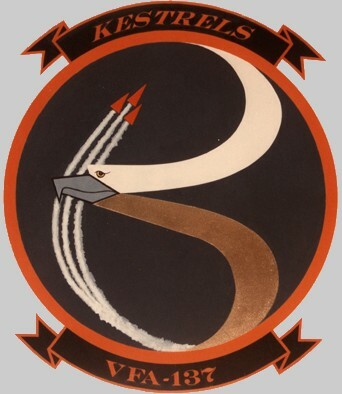 Following the tragic tsunami is Southeast Asia; the Kestrels joined Operation UNIFIED ASSITANCE which delivered over two million pounds of food, medical supplies and potable water to Indonesia. 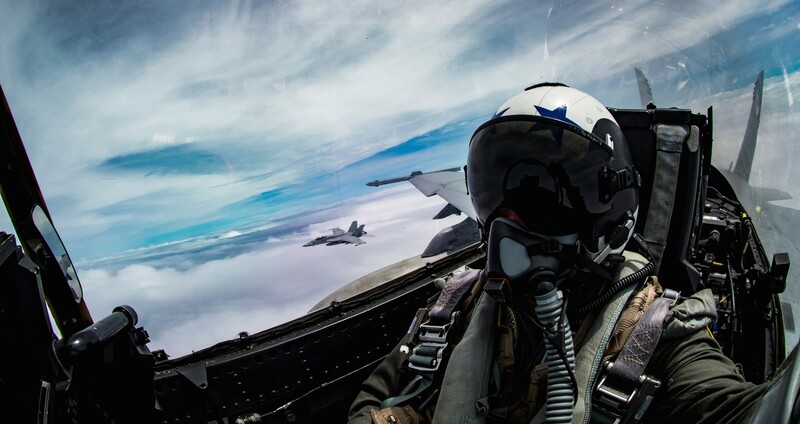 Following detachment to NAS Fallon, NV for air wing training a mere three weeks after returning from deployment, the squadron was recognized for its unsurpassed maintenance practices by Commander, Strike Fighter Wing PACIFIC with the coveted LTjg Bruce Carrier Award for Maintenance Excellence. 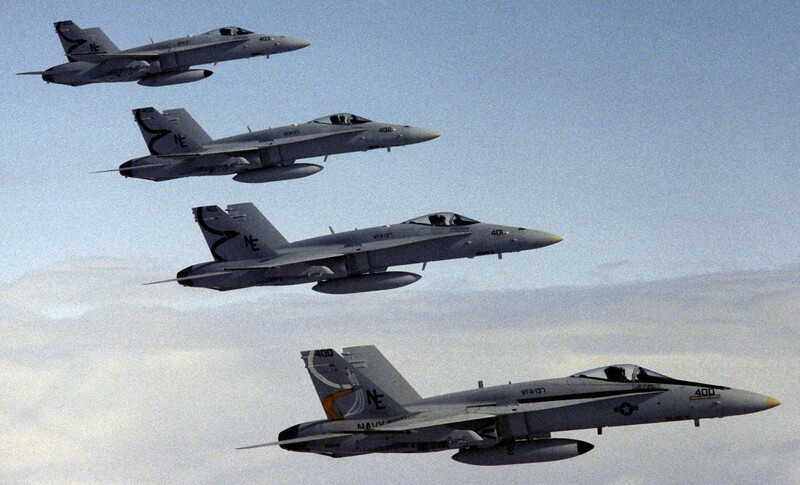 The squadron celebrated its twentieth anniversary of Class “A” mishap-free flight hours in October 2005. 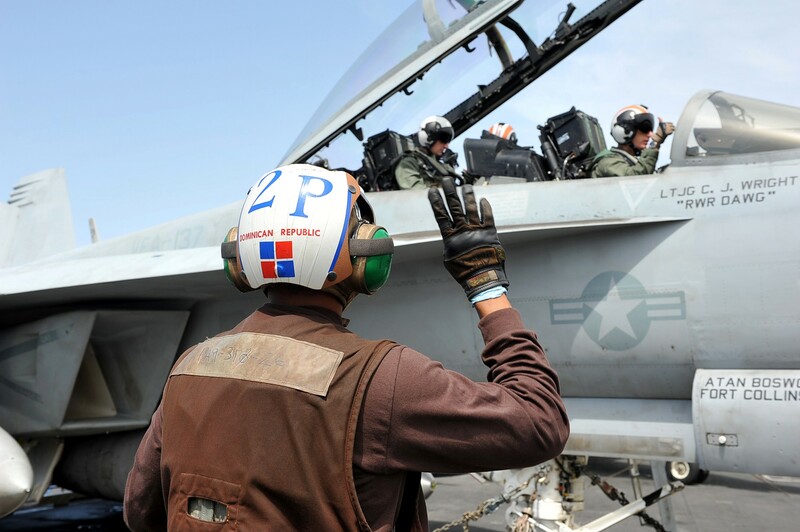 Rejoining Carrier Air Wing TWO on the LINCOLN, the Kestrels commenced a WESTPAC deployment in support of Commander, US Pacific Command’s Maritime Influence Strategy in March 2006. 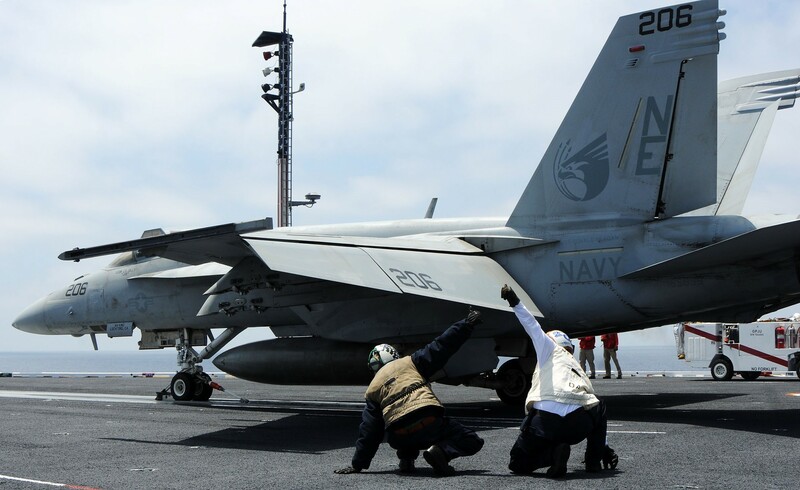 The cruise was marked by participation in the FOAL EAGLE, VALIANT SHIELD and RIMPAC exercises. 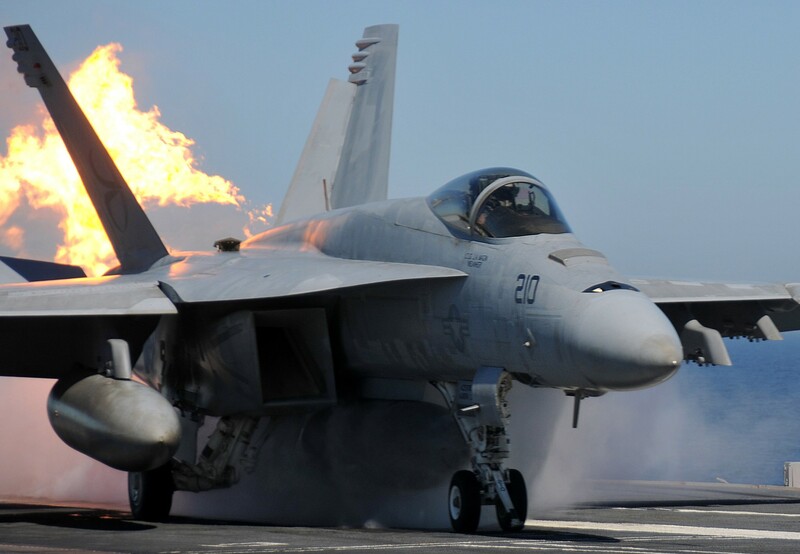 VALIANT SHIELD involved three carrier battle groups and was the largest assemblage of naval power in the Pacific since the conclusion of the Vietnam War. 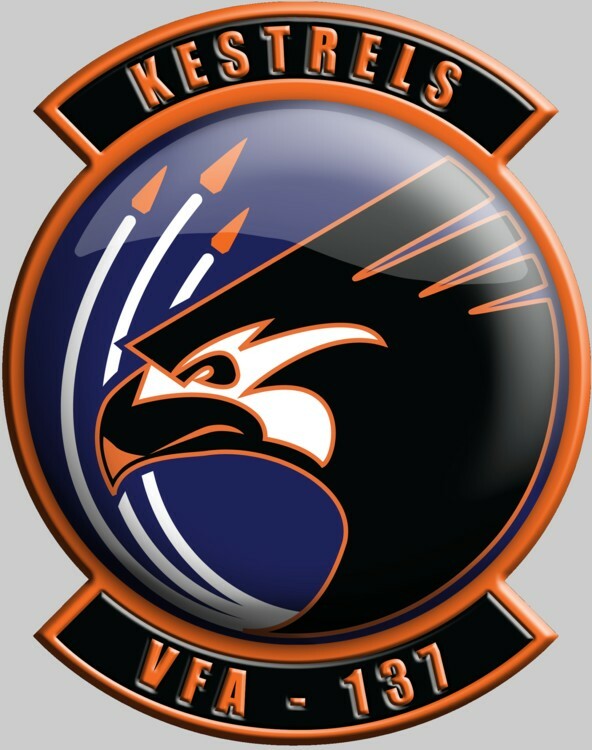 The Kestrels completed a fighter tactics training detachment to NAS Key West, FL in October 2006 to continue honing their air-to-air skills. 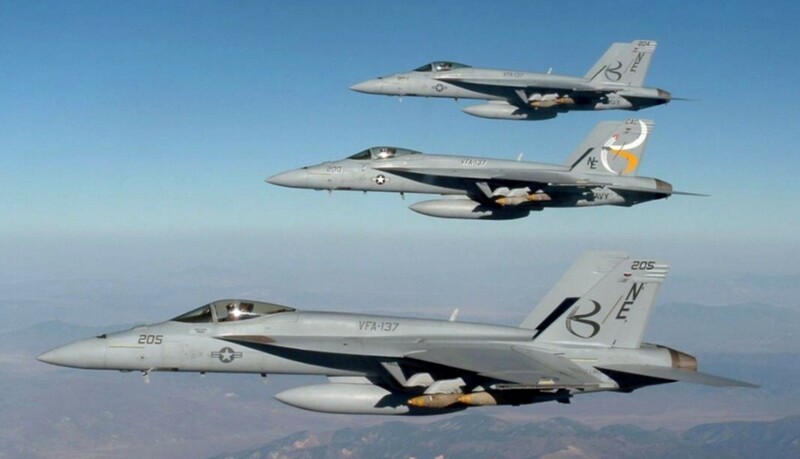 The time for another deployment fast approached and the Kestrels spent Air Wing Fallon and Composite Training Unit Exercise (COMPTUEX) acquiring the air-to-ground expertise they would need to support ongoing conflicts in Iraq and Afghanistan. 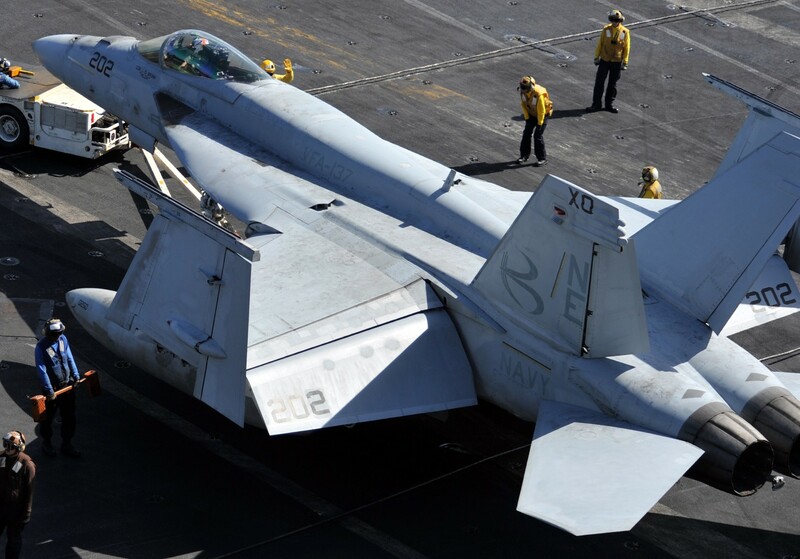 In March 2008, the Kestrels again set out on deployment with Carrier Air Wing TWO (CVW-2), onboard CVN-72, this time to the Fifth Fleet AOR. 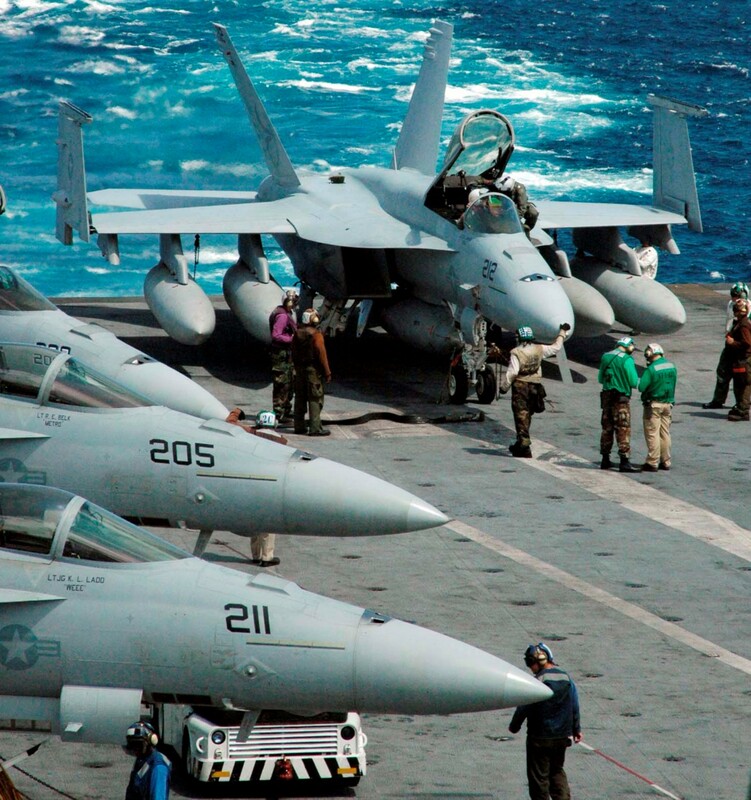 On 30 April 2008, CVN-72 arrived in the Northern Arabian Gulf (NAG) and began supporting OIF. 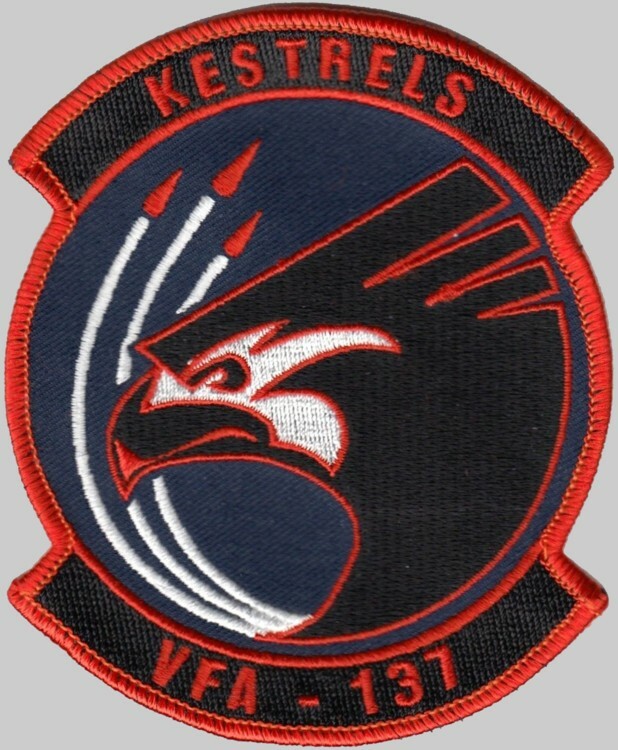 The Kestrels’ contribution was monumental, as their participation in the pacification of Al-Amarah (one of the last Shi’ite insurgent strongholds) coincided with an overall reduction in violence throughout Iraq. 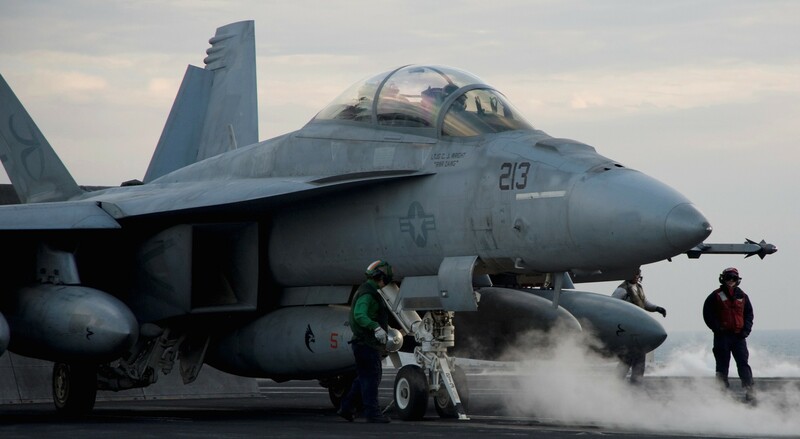 The Air Wing’s efforts in OIF were so successful that CVN-72 was ordered to the North Arabian Sea (NAS) to support Operation ENDURING FREEDOM (OEF) over the skies of Afghanistan. 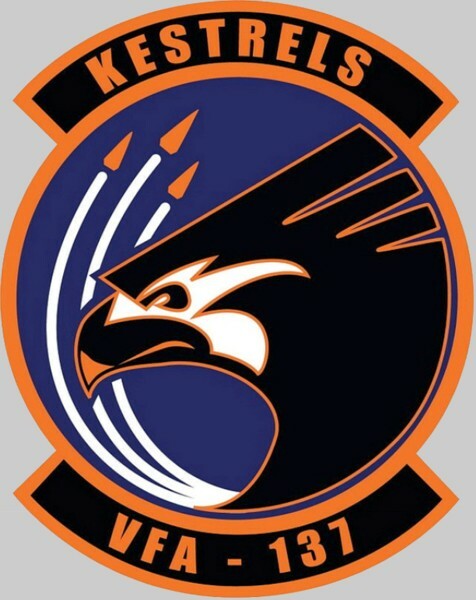 On 8 October 2008, the Kestrels returned from a successful combat deployment only to continue their fevered battle rhythm with a November detachment to Nellis Air Force Base (AFB), Nevada where air-to-air training was conducted with F-15s. 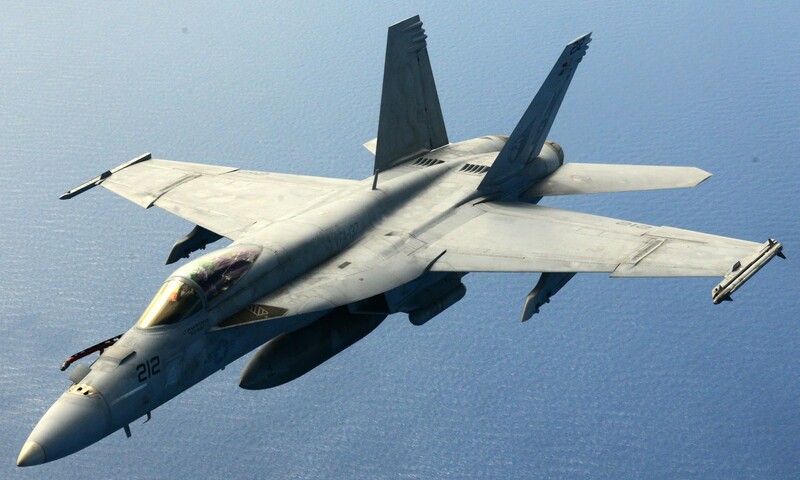 The Kestrels again conducted fighter tactics training with F-15s in March 2009, this time with the Hawaiian Air National Guard (HANG) out of Hickam AFB. 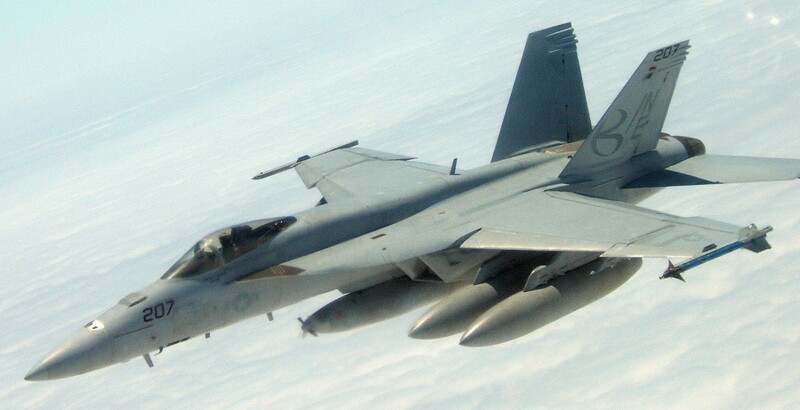 The squadron wrapped up its high detachment tempo by participating in the joint exercise JADED THUNDER at MacDill AFB in Tampa, Florida in May 2009. 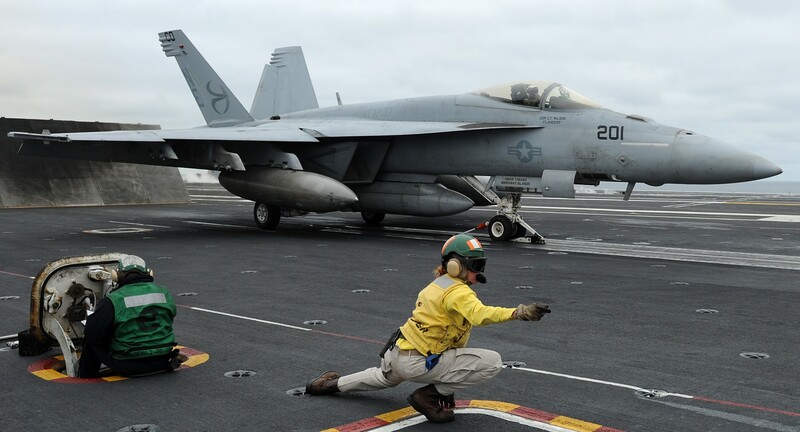 2010 was a year of arduous workups and preparation for another combat deployment. 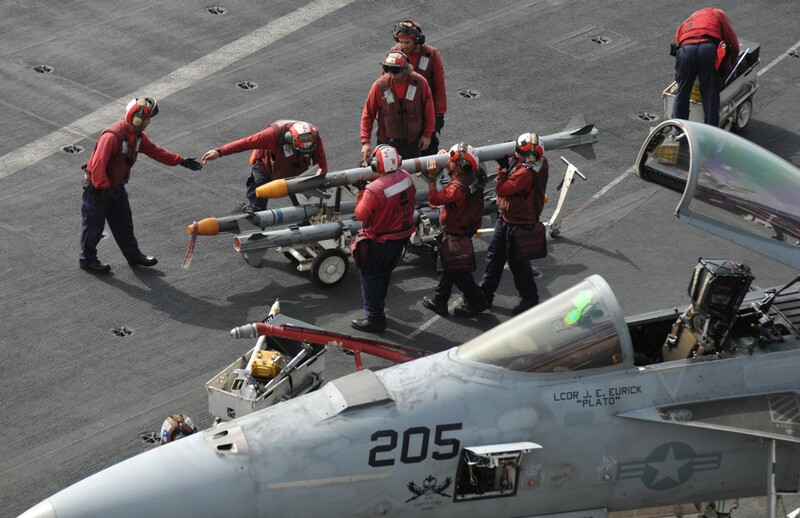 In the fall of 2010, the Kestrels set sail for the 5th Fleet AOR, this time to meet operational requirements in support of Operations NEW DAWN and ENDURING FREEDOM. The Kestrels executed flawlessly and proudly returned home winners of the CVW-2 “Broadsword” Award, signifying recognition of the best Chief’s Mess in the CAG. 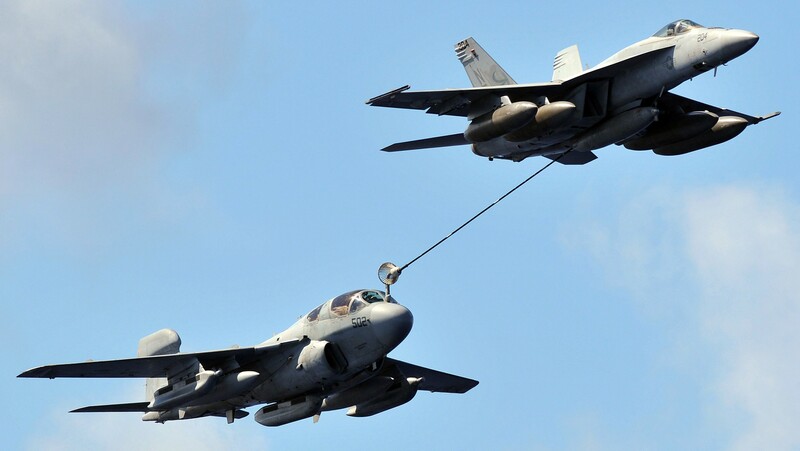 Upon return from Deployment in March, 2011 the Kestrels were rapidly back in action, participating in the Joint Exercise NORTHERN EDGE by detaching to Elmendorf AFB in Anchorage, Alaska. 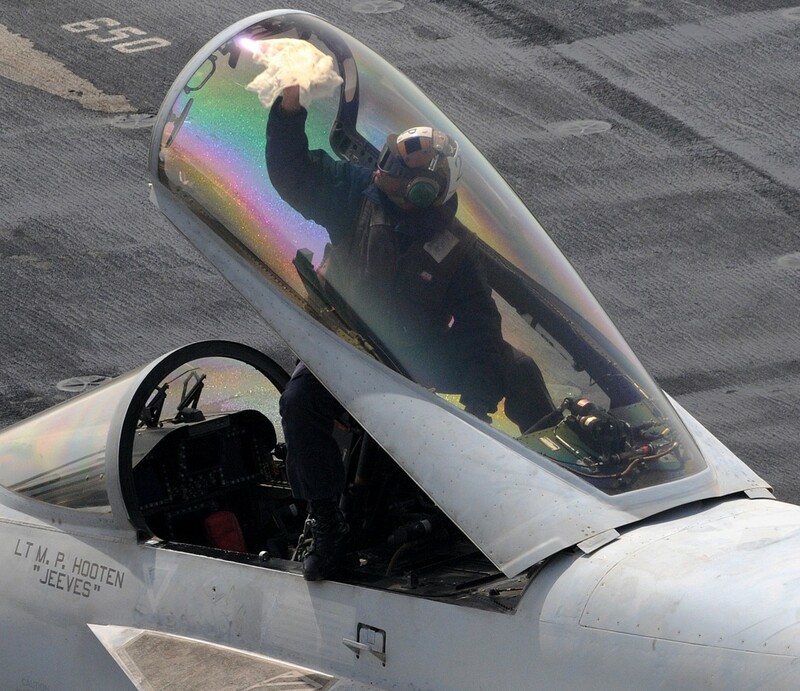 The successful detachment added to VFA-137’s legacy of consistent, professional execution of tactics and maintenance. Soon after returning from NORTHERN EDGE the Kestrels quickly began workups for their next deployment, their second in little over a year. 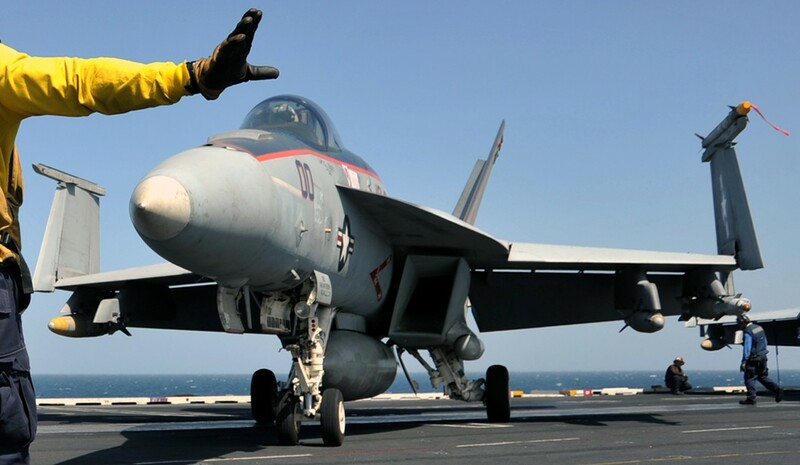 By September 2011, the Kestrels had completed AIR WING Fallon and COMTUEX and deployed again to the 5th Fleet AOR aboard CVN-72 operating with Carrier Strike Group NINE (CSG-9). 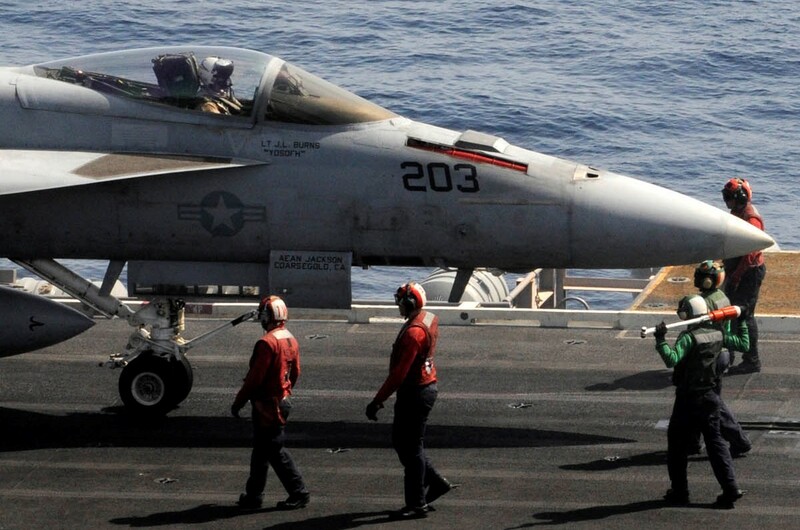 Between February to July 2012 the squadron amassed 1,121 combat hours in support of Operation Enduring Freedom. 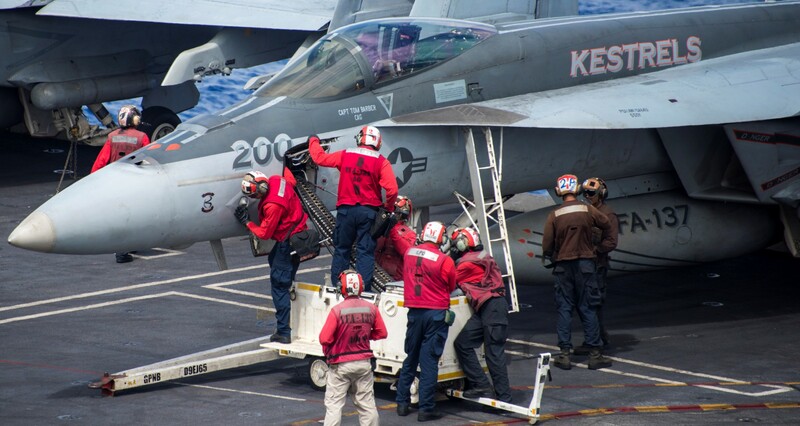 In July 2012 the Kestrels left the 5th Fleet AOR and completed an around the world cruise, with CVN-72 proceeding to Naval Station Norfolk for a homeport of change. 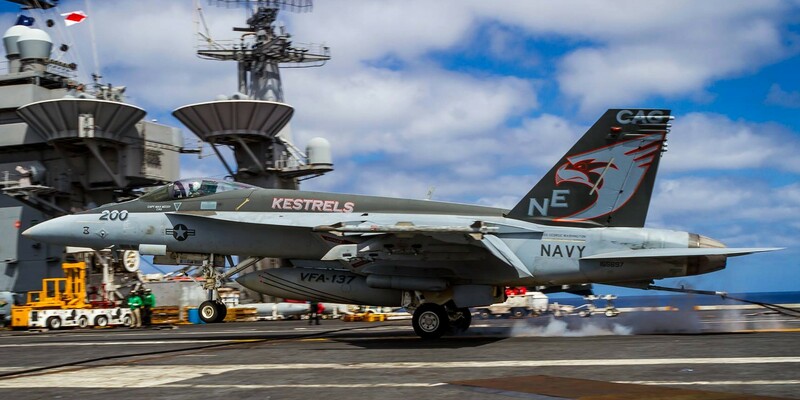 The Kestrels returned to NAS Lemoore in August 2012, after an eight month deployment that had been extended twice. 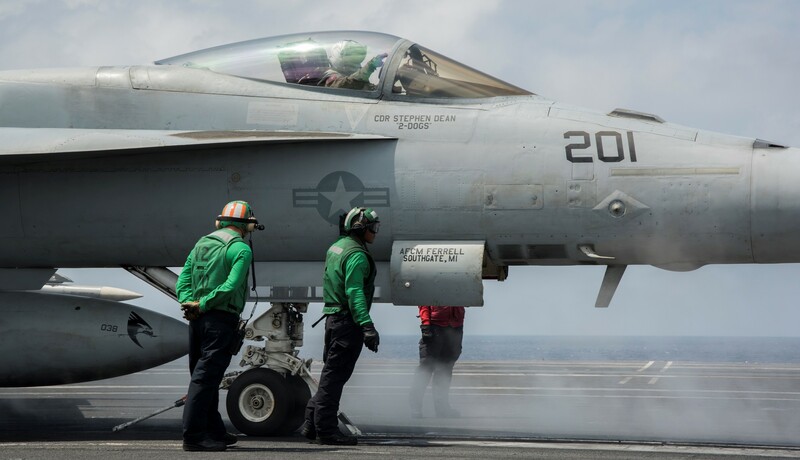 After the squadron’s return from a demanding high operations tempo the Kestrel’s are preparing to deploy again this time aboard the USS Ronald Reagan (CVN-76) with the same drive and excellence that has been the tradition of the squadron since its inception.